A conservatorship is a legal proceeding whereby a person or persons are appointed by the court to manage the personal affairs and financial assets of an individual who cannot care for himself or herself. The person appointed to handle the personal affairs is known as the conservator of the person. The person appointed to handle the financial affairs is known as the conservator of the estate. More than one person can serve as a conservator in which case the persons are known as co-conservators. The person appointed as conservator of the estate may be a different person than the one appointed conservator of the person. A conservatorship petition should only be granted by the judge if he or she finds it is the least restrictive alternative. The person who is the subject of the conservatorship proceeding, known as the conservatee, may also object to the conservatorship. One or more persons, usually family members, may oppose the conservatorship. Often the basis for the objection is that a less restrictive option, such as a trust, power of attorney, or advance health care directive exists. The person bringing the conservatorship petition may allege that the trust, power of attorney, or advance health care directive was obtained at a time that the proposed conservatee lacked capacity to execute the documents or was subject to undue influence. If it is alleged that the proposed conservatee has Alzheimer’s disease or dementia, the court will appoint an attorney to represent the proposed conservatee. A court investigator will be sent out to visit the proposed conservatee and to speak with the proposed conservator and relatives of the conservatee. The person bringing the conservatorship petition is supposed to include a court form signed by the attending physician of the proposed conservatee assessing the proposed conservatee’s capacity, ability to manage his or her personal and financial affairs, and ability to comprehend the conservatorship proceedings. The person opposing the conservatorship can submit documentation and offer other evidence regarding the capacity of the proposed conservatee and substantiating the availability of less restrictive options. If there is disagreement regarding who should act as conservator of the person or estate, multiple conservatorship petitions may be filed by persons seeking to be appointed the conservator. Some parties may be seeking to only become the conservator of the person while others may seek to become the conservator of the estate, or both. The persons who desire to be appointed conservator will be investigated. If he or she has a felony conviction or has recently filed bankruptcy, the person will not be approved as the conservator. It is rare that a person who lives outside of California would be appointed conservator. Should the judge find there are less restrictive alternatives available, he or she should dismiss the conservatorship petitions. If further evidence is needed to confirm allegations made by the parties, to verify the validity of documents, or to determine who is most qualified to serve as conservator, the judge will set an evidentiary hearing. In an attempt to promote family harmony and reduce legal expenses, the judge may require that the parties mediate the matter prior to having the evidentiary hearing. At the end of the evidentiary hearing, the judge will make issue a ruling with regard to whether a conservatorship is necessary and if so, who will serve as conservator. Where there is much hostility between the parties, the judge might appoint an independent conservator such as a private fiduciary or the Public Guardian. Contested conservatorships can be very costly, especially if family members are acting on “principles,” and not on what is in the best interest of the proposed conservatee. Once the conservatorship is established, the conservator must report to the court annually and file an accounting if a conservatorship of the estate is established. So not only must all parties pay for their legal representation, but there is also an ongoing cost for preparing the reports and accountings and presenting them to the court. If the conservatee has sufficient income and assets, he or she will also pay the legal fees of the attorney appointed by the court to represent him or her. If the conservatee lacks the financial resources to pay the court-appointed, the county will pay the attorney’s bill. If there are sufficient assets in the estate of the conservatee, and if it can be shown that a proposed conservator brought a petition in good faith, the judge might approve reimbursing the proposed conservator for his or her legal costs. However, it is not guaranteed that the judge will approve a request for reimbursement. Even if the request is granted, the judge may rule he or she believes that the legal fees were excessive and only grant reimbursement of a portion of what is being requested. In most cases, the attorney will not reimburse the difference between what was billed and what the judge approved for reimbursement. Conservatorship proceedings can be emotionally and financially exhausting. If you are concerned about a loved one in need of a conservatorship, and you believe the petition will be contested, our conservatorship attorneys can help. We can also assist you if you wish to oppose a conservatorship petition brought by someone else. The key to prevailing in any conservatorship proceeding in Riverside or San Bernardino County is to have an experienced conservatorship attorney on your side. 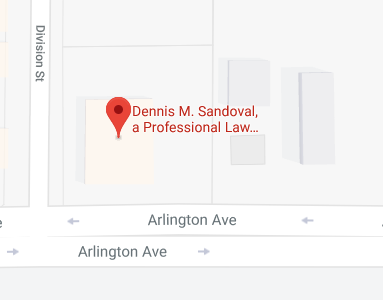 To learn more about how we can help you, contact attorney Dennis M. Sandoval online or call our office at 951-888-1460 to schedule a consultation.